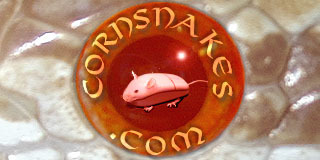 Behavior General topics or questions concerning the way your cornsnake may be acting. My 2 corns, Levi the Motley(possibly Hypo), and Sterling the Anery...have me scratching my head. Levi is 18 inches long and by my estimation about 5 months old, purchased from Petsmart, so not 100% on dates. Sterling is 20 inches and about 6.5 months, purchased as a rescue from Uncle Bills pet shop, and for the first few days extremely tank aggressive. We have worked past Sterling's "eat mom" phase. My conundrum is that Levi is out and about all the time, in a branch, cruising around the tank, attempting to escape ...but Sterling is always, and I mean like 22 hours a day burrowed into the substrate and seems to have no interest in being out at all. They have nearly identical tank set ups...same temp, tanks in the same amount of light and dark. I know that each snake is different, and their situations started different, but I am curious to find out if there is something I should change or just roll with what we have?